I’m lucky enough to live in an area where new healthy places are always popping up. In my previous post, I mentioned how great the coffee at Outpost Kitchen is, but what I didn’t mention is their fantastic food as well. Outpost Kitchen is the newest restaurant from Australian chef Andre Sickinger, who classifies himself as a “Surfers Chef.” His food is locally sourced whenever possible, and he offers a variety of clean paleo, gluten-free and vegan eats on his menu. Basically, a health foodie’s paradise. The Englishman and I recently had brunch there with some friends and were quite impressed with the offerings. He went with the chef’s special, which ended up being a chorizo omelette and I went with the eggs over easy with avocado and smashed potatoes. Both did not disappoint. In addition to stellar egg dishes, Outpost Kitchen also offers a variety of Australian classics including Vegemite on toast and an Australian Flat White coffee. 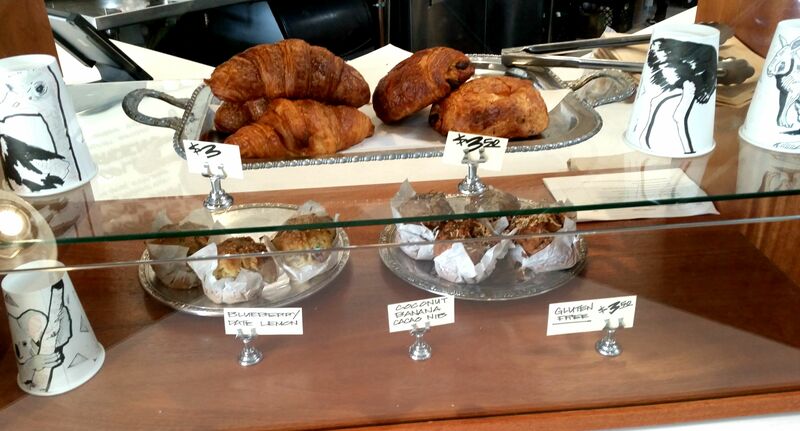 The restaurant also has smoothies, paleo bars, and other gluten-free goodies. While I’ve only had a couple of items on the menu, Outpost Kitchen has now become a regular stop in my Costa Mesa rotation. OC locals, you definitely want to check this place out! This entry was posted in Best Of, Gluten-Free, Good Eats, Orange County, Paleo and tagged clean eats, local favorites on July 21, 2015 by allie@sweetpotatobites. When I was in France, I developed a bit of a coffee drinking habit. I figured the habit would disappear once I returned home, but I found myself craving a nice cup of coffee every morning. 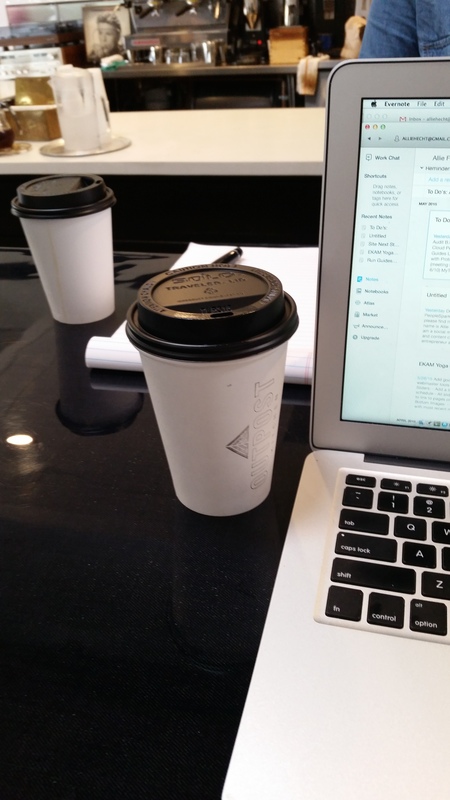 Since I have the flexibility to work from home, a lot of my client meetings take place in little cafes and coffee shops which led me to begin my quest to find the best coffee in Costa Mesa. One of my clients, Taste of Paleo (did you get your tickets yet?) was game to try my new endeavor, and we began meeting at various local coffee shops to determine who had the best brew. While there are still many more coffee shops to explore, I wanted to share the three places I consider to have the best coffee in Costa Mesa. Like there was even a question that this place would be on my list. 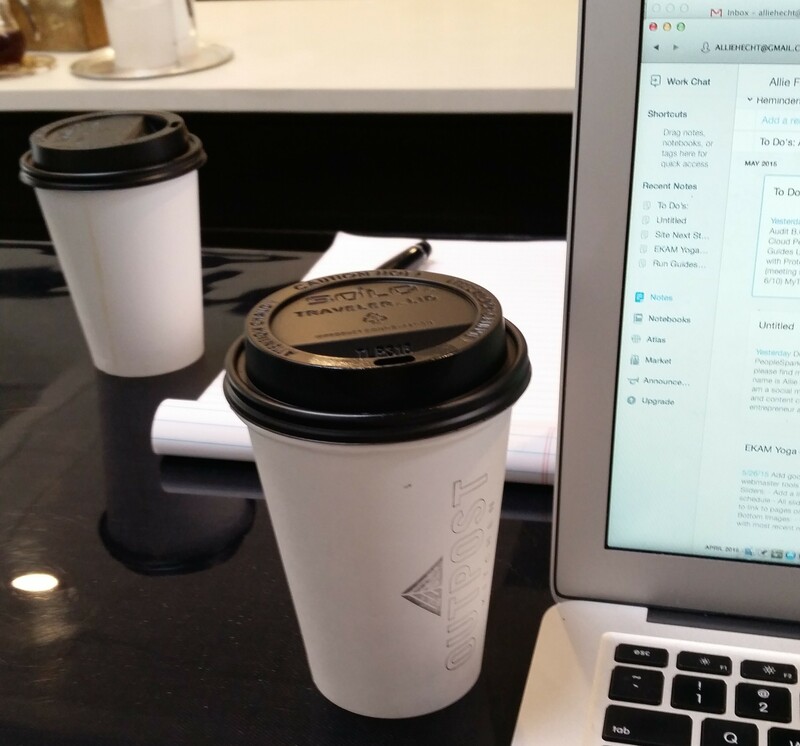 I always order the same thing when I come in: large drip coffee with steamed almond milk. The place is always packed, everyone is incredibly friendly and there’s a smell of freshly baked doughnuts wafting through the air. What’s not to love? 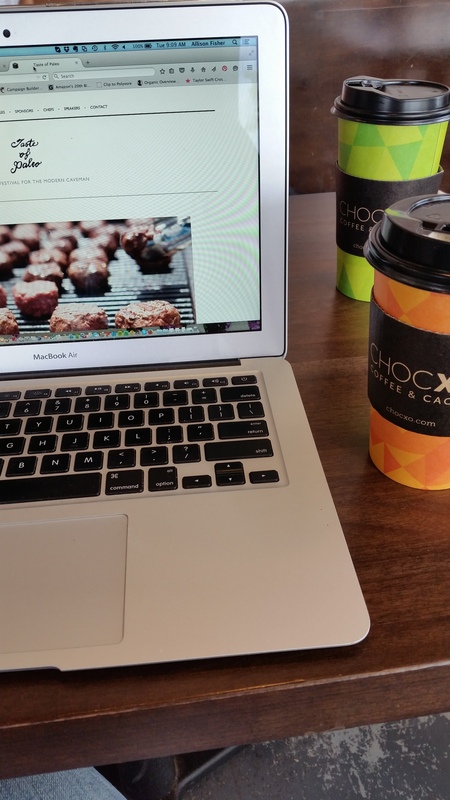 I’ll admit, it wasn’t love at first sip at Chocxo, but their coffee quickly grew on me. I also love their selection of bean to bar chocolate and the mellow vibe. 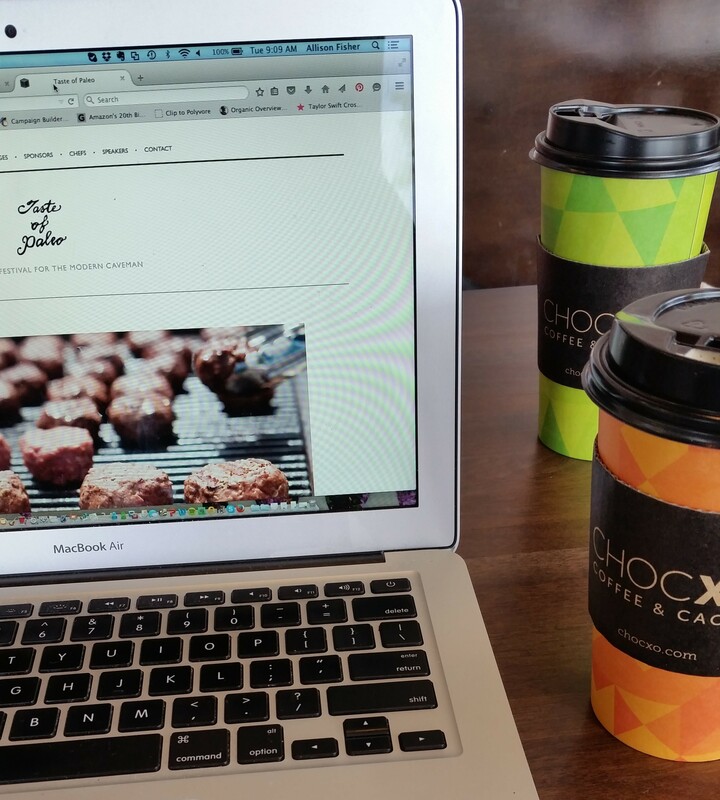 It’s a great place to pop in and get some work done without the hustle and bustle of a Starbucks (better tasting coffee too!). So those are my three top coffee places (so far). Where should Taste of Paleo and I venture next? 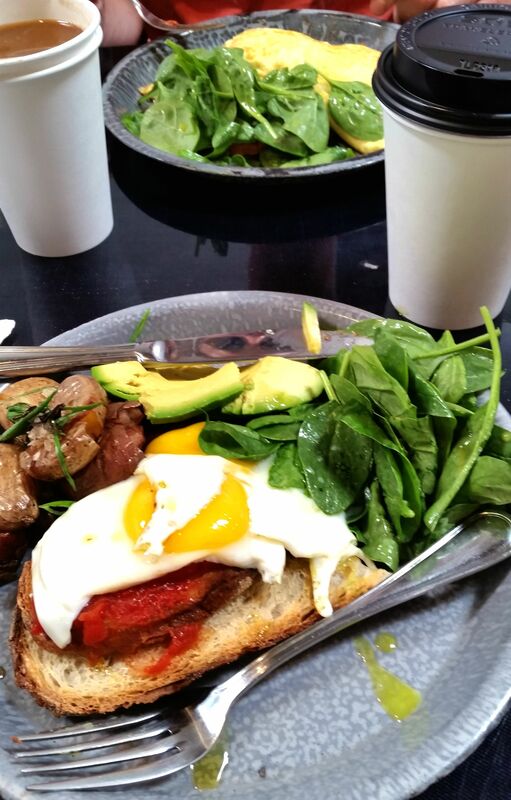 This entry was posted in Best Of and tagged coffee, costa mesa, local spots, orange county on July 17, 2015 by allie@sweetpotatobites. Remember a couple of months ago when I went to the Flavors of Aloha event at Tommy Bahama? At the end of our delicious meal we were each given the new Flavors of Aloha cookbook, and I finally decided to make the ginger glazed salmon recipe that I’ve had my eye on for weeks now (because, salmon). Not only was this recipe incredibly easy, it was delicious too! The key to this recipe’s success is getting really good salmon. As I’ve mentioned before, I only get my fish at Santa Monica Seafood, and I always make a point to get sustainable wild fish. Lucky for me, Santa Monica Seafood happened to have some wild salmon on sale, so I jumped on it. The original recipe in the Flavors of Aloha cookbook calls for hoisin sauce, but since I can’t have soy, I swapped in coconut aminos instead, which still yielded a tasty result. The rest of the ingredients included diced ginger, sake (or rice wine), green onion and garlic. From start to finish this took roughly 20 minutes, making it the perfect meal to whip up during the week when you don’t want to spend a lot of time in the kitchen cooking. We had our salmon with some roasted potatoes, but I think the wasabi mashed potatoes from the Flavors of Aloha cookbook would be a wonderful side to the ginger glazed salmon. And if you don’t like salmon, try it with ahi, halibut or even sea bass. Set your oven to a broil setting. 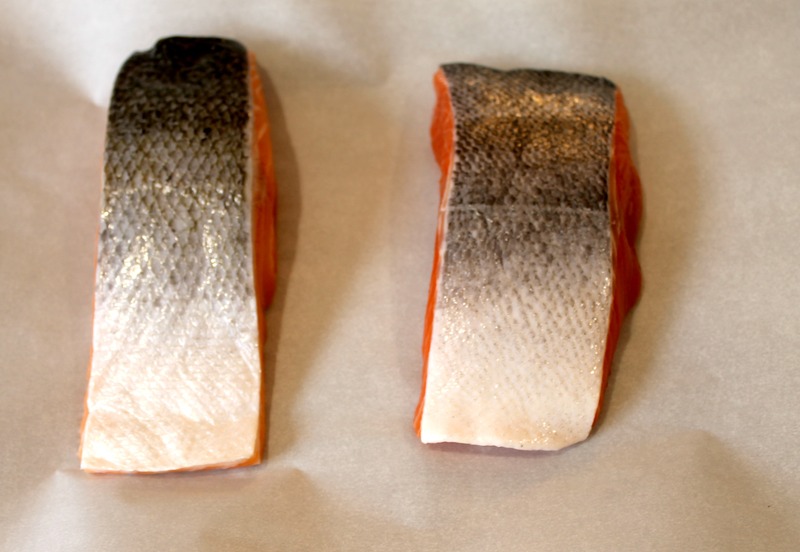 Place your salmon filets skin side up on a baking sheet. 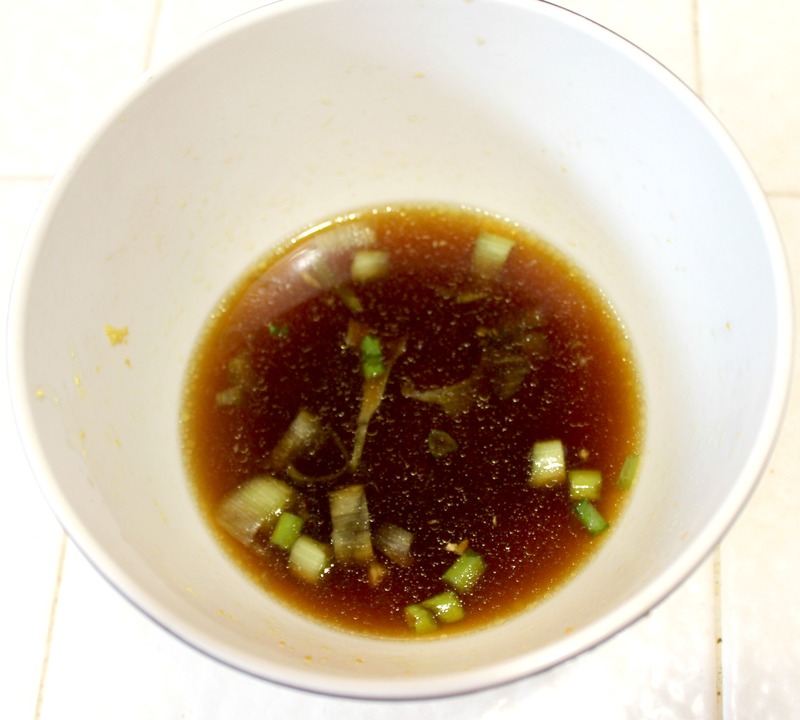 In a small bowl, mix your ginger glaze and set aside. 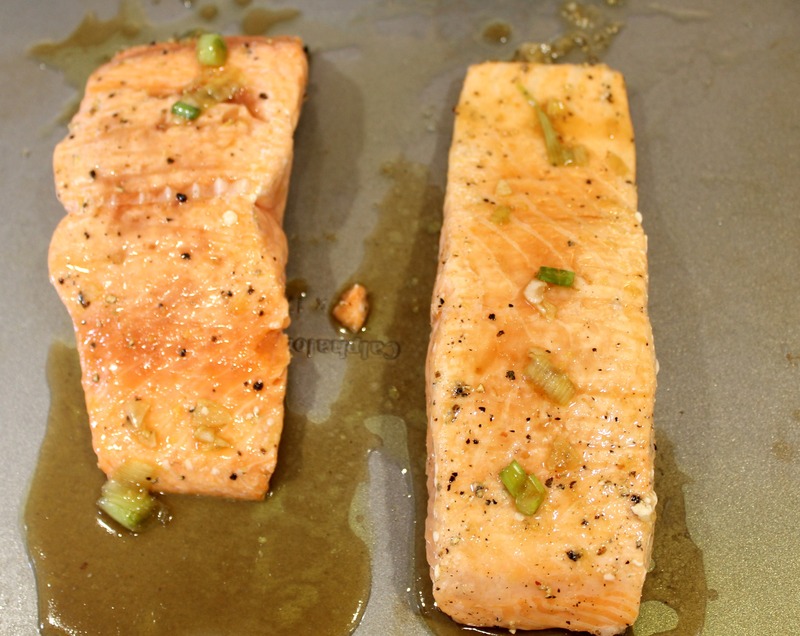 Place salmon in the oven for 2-3 minutes. Remove from the oven and flip over. Add the ginger glaze to your fish and place back in the oven for another 4-5 minutes. If you want your salmon cooked a little further, I recommend keeping in the oven for another couple of minutes otherwise remove from the oven, eat and enjoy! 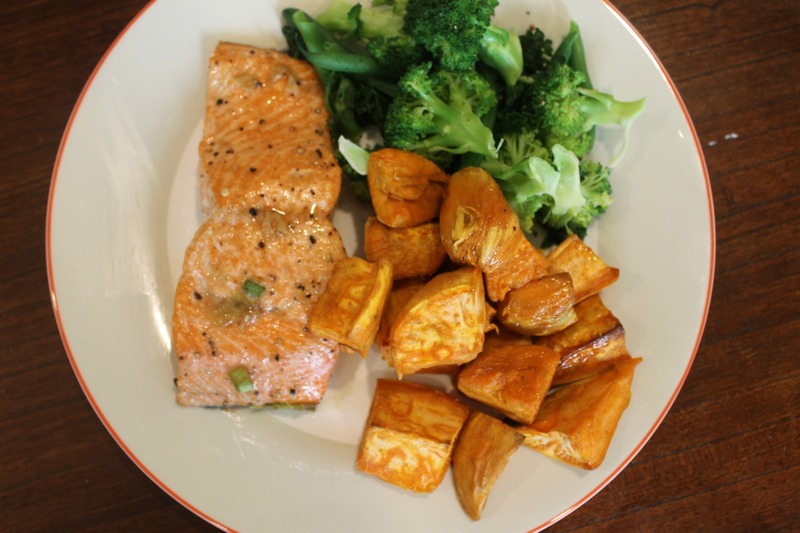 This entry was posted in Best Of, Cooking, Food Allergies, Gluten-Free, Good Eats, Healthy, Seafood and tagged cookbook, salmon, seafood on July 9, 2015 by allie@sweetpotatobites. 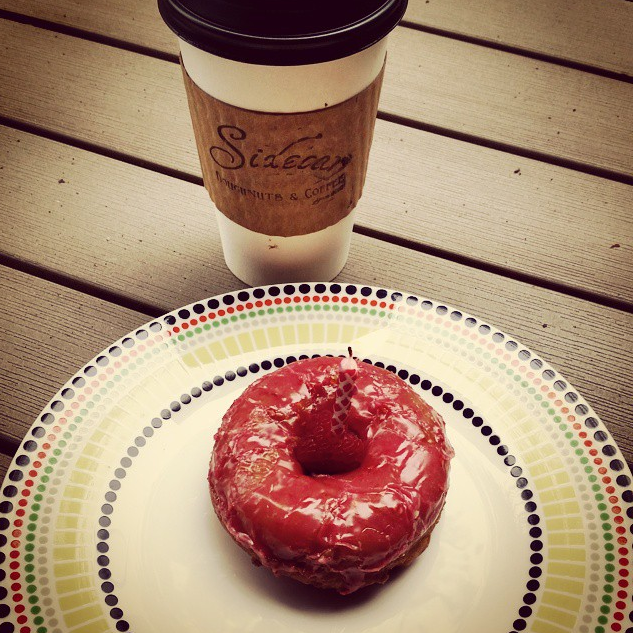 I have a new obsession and it is in the form of the coffee from Sidecar Doughnuts. I’ve written about their doughnuts numerous times, but it wasn’t until recently that their Forty Winks blend made with Stumptown coffee has stolen my heart. I get the same order every time; large cup of coffee with some steamed almond milk to add just a slight bit of sweetness. So what does this have to do with paleo chocolate doughnuts? As we all know, Sidecar makes delicious doughnuts. And every time I step into their shop to grab a coffee you can smell the freshly baked doughnuts in the air. The Englishman and I have now established a Sunday tradition where we pop into Sidecar to get a morning cup o’joe and sometimes a doughnut (gluten-free for me) or two. If you follow me on instagram, then you probably saw that we also started a birthday coffee and doughnut tradition. Don’t get me wrong, I am a firm believer in treating yourself and enjoying delicious things like these doughnuts, but for my wallet and waistline I can’t exactly buy them every time I step into the shop. So what’s a doughnut-lovin’ gal to do? Make her own! These paleo chocolate doughnuts are simple low in sugar, and the perfect accompaniment to my Sidecar coffee. The great thing about these doughnuts is that you can add nuts or chocolate chips into the batter…or just top your doughnuts with them! If you don’t have a doughnut pan, you can easily convert these into muffins as well. Preheat your oven to 350F. Grease your doughnut or muffin pan. In a medium bowl whisk together your coconut flour, cocoa powder, baking soda, salt, and cinnamon. Gently fold in your olive oil, egg, egg whites, water and vanilla until everything is well blended. 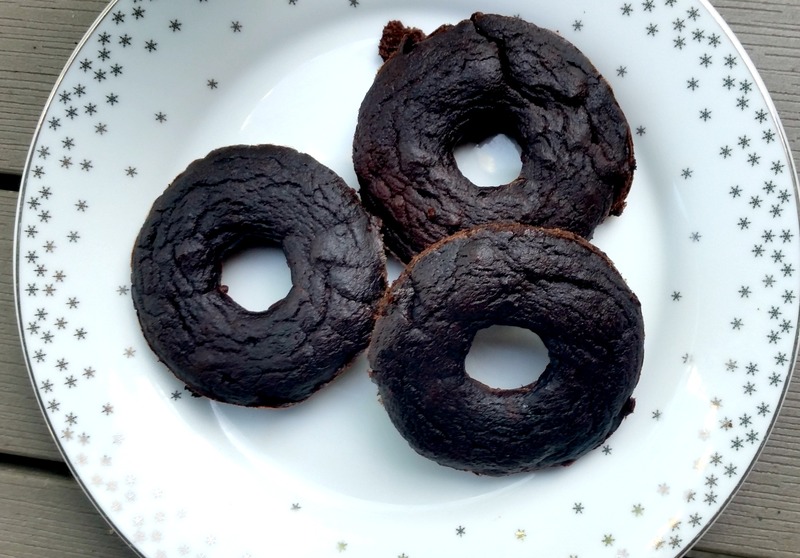 Gently fold your batter into the doughnut pan and place in the oven for 20 minutes. Remove from the oven and let the doughnuts cool for 15 minutes. Pair with your favorite cup of coffee (or tea!). Now serious question: do you spell it donuts or doughnuts? I always have the “ough” when I write it out but I see the other spelling quite often too. 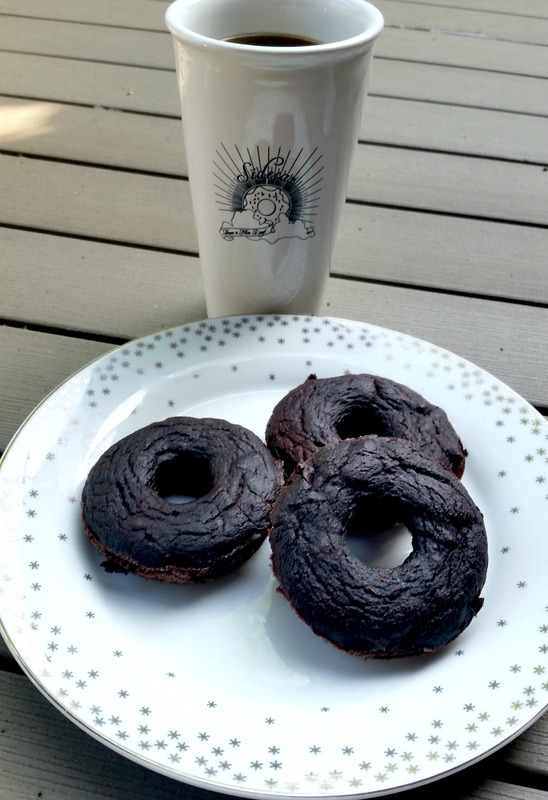 This entry was posted in Baking, Best Of, Breakfast, Cooking, Gluten-Free, Healthy, Paleo and tagged coffee, sidecar doughnuts on June 30, 2015 by allie@sweetpotatobites.